Ce document au format PDF 1.6 a été généré par Acrobat PDFMaker 7.0 for Word / Acrobat Distiller 7.0 (Windows), et a été envoyé sur fichier-pdf.fr le 23/08/2012 à 19:53, depuis l'adresse IP 74.58.x.x. La présente page de téléchargement du fichier a été vue 1580 fois. Taille du document: 6.6 Mo (177 pages). entered the towers. They provide inspiration to us as family members and as members of the FDNY. It is our hope that this manual will benefit other young professionals in their careers as firefighters. 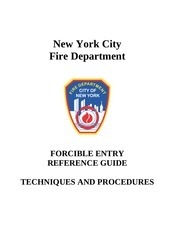 The objective of this manual is to provide the reader a comprehensive study of forcible entry. techniques that have proven to be successful for members of the FDNY. future members of the FDNY. the forcible entry training DVD that has been provided to the field. James Cody (Ladder Company 24), and Firefighter John Faracco (Ladder Company 28- Ret.). Assistance with the illustrations were provided by Zack Herman (Bridgeport FD) and Joe Fisher. topic may be, as the years go by the story seems to get a bit better every time it is re-told. were usually entertaining and in most cases there was something to be learned from them. lonely hours that I first heard of Chief Hugh Halligan. ranks. During his tenure he worked in all eleven of the FDNY’s bureaus. Most tools or equipment used in the fire service are rarely designed specifically for the fire service. specifically for the fire service; Hugh Halligan was the man that accomplished this. entry tool for the New York City Fire Department. backing of Fire Commissioner John J. McElligott, he set upon a project to design such a tool. contained the fork, which was so popular with the old Claw Tool. however, sell the tool to individual firefighters or units, but not to the City of New York. anyone who would sell them. up. More and more units relied on this tool to overcome the daily challenges. use the basic forcible entry tools, the axe and the Halligan Tool, to gain entry. forcible entry based on over 100 years experience. a bank would be ideal for fire fighting. The firefighters adopted it as their own forcible entry tool. Many believe this was the first tool specifically designed for forcible entry. alternate forcible entry tool to the Claw Tool. would not sell his tool to New York City.) Today we have many variations to the Halligan Tool. Some are even better than the original. Some manufacturers took this good tool and made it better, others just copied the original design. Fire Department to augment their limited supply of forcible entry tools. consider this “the Halligan Tool,” but it is just one of many copies of the original design. were some shortcomings with the original design. effective for a hand tool. in training and in fire operations. Provide a handbook for the teaching and learning of forcible entry. difficult, but all are achievable. Why all firefighters should be proficient in the basic forcible entry skills. operations start at the front door or main entrance. Before any tactical moves can be made, e.g. open a door with minimal damage. department. By reducing the damage to a minimum we ensure the safety of the people we serve. formidable locks and multiple locks on a single door. must be combined with skill, technique and knowledge. You control that action. you never know what is behind that door or window. Hands on training- this is the primary way to sharpen your skills. by exchanging information and ideas with other firefighters. Finally, using some common sense and trusting your instincts; they are usually correct. This is the ongoing evaluation of the problems confronted within a fire situation. Size-up starts with the receipt of an alarm and continues until the fire is under control. specialized tools may be required. door opens out of the occupancy. They are considered outward opening (toward you). Door Buck, Door Jamb or simply, the “Frame.” They can be made of metal or wood. 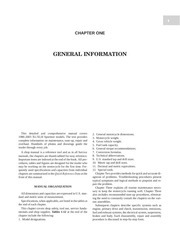 known as (a) standard, (b) self-closing, and (c) pin type. 4. Replacement Door: A new pre-hung door and jamb installed into an existing doorframe. where they are located on the door. 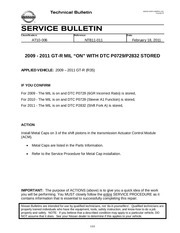 Modified Tools – Standard tools/devices that have been modified for use in the fire service. The following are brief descriptions and reasons we chose the above tools for Forcible Entry. same end, but these are the tools we have used and are most familiar with. the crown of the axe from “mushrooming” over. Be a backstop for the Halligan or hydraulic tool (Hydra-Ram). Hold the purchase when repositioning the Halligan Tool. to “Conventional Forcible Entry,” Chapter 8.
to carry both tools in one hand. to carry and be responsible for. • Remove any dirt or rust with steel wool or emery cloth. • Use a metal file to maintain the proper profile and cutting edge. • Sharpen edges and remove any burrs with a file. • Do not keep the blade edge too sharp as this may cause it to chip when in use. • Do not grind the blade as this may overheat the metal and cause it to lose the temper. • Do not paint the metal parts, but keep them lightly oiled if desired. • Never apply oil to the striking surface of a striking tool (axe or Halligan). • “Dress” the edges to keep square and free of burrs which may splinter off when striking tool. • Check for damage and sand off any splinters. of paint or brand may be used to identify the tool. • Ensure the head of the tool is securely fastened. “batter” a door or to remove cinder block from a window or door of a vacant and sealed occupancy. the shaft and driving the Halligan Tool with the shaft. used with an axe and Halligan Tool. into the cylinder body. Light blows with the axe set the K-Tool. the cylinder from the door. out of locks. It is also useful for opening automobile trunks. half inches wide. The device is slid between the door and the doorframe above the spring latch. spring latch opening the door. It only works on outward swinging doors. being cut with a power saw. information will be found in Chapter 9, Hydraulic Forcible Entry Tools. vertically if the hose is facing down. spread of approximately four inches. used to drive the body of the padlock off the shackle. cut the padlock, cut both sides of the shackle. especially where roll-down security gates are present. These saws come in a variety of models. maximum speed to complete the cut. More in Chapter 14, Roll-Down Security Gates. this was used for forcible entry, today it has limited use in breaching walls. Key Tools: Eyebolts and standard 10-Penney nails modified as Key Tools. previous pulled cylinder. Works mostly with the “American Series 2000” padlock. KEY-IN-THE-KNOB LOCK - As the name implies, the locking mechanism is part of the knob. These locks are found on both residential and commercial doors. activated. It is a cross between a mortise lock, rim lock and a key-in-the-knob lock. the outside of the door. manually thrown to engage the bolt into the keeper. the lock, e.g. sliding open. must also be manually engaged. It is a “jimmy” proof lock. metal or solid wood door. They have a solid, threaded key cylinder, which is secured in place by setscrews. The two most common types are; Mortise/Latch Key and Mortise/Door Knob (see below). or latchkey. Below are examples of this type of lock. Note: Placing a common 8-10 penny nail over the magnet will prevent the door from relocking. Brownstones and some older “Mom and Pop” stores. Note: Plate glass may be quite dangerous. When broken, it may fall in large sharp pieces. WOOD DOOR - There are two types of wood doors; Hollow Core and Solid Core. material that is fire retarded. In either case, the door is sided with a plywood veneer covering. fire. Today a metal door is quite common even in private dwellings. Ce fichier a été mis en ligne par un utilisateur du site. Identifiant unique du document: 00127917.